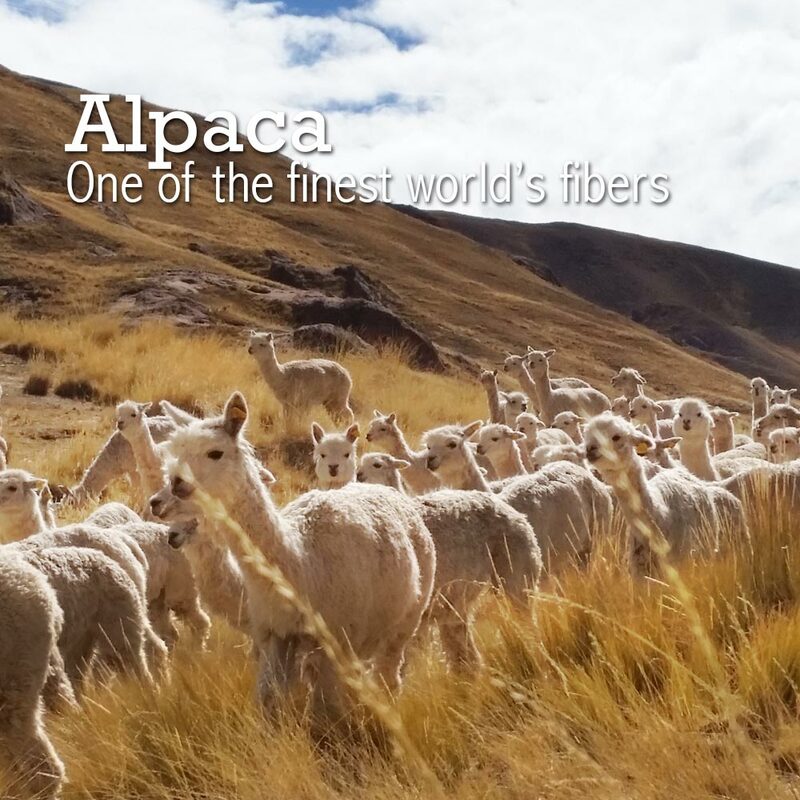 Long ago, alpaca fiber was reserved for royalty and was called the “gold of los Andes”. Today, it is sold in several ways. Alpaca, one of the world’s most luxurious fabrics, is a jewel among all other synthetic fibers and harsh materials found in our everyday lives. 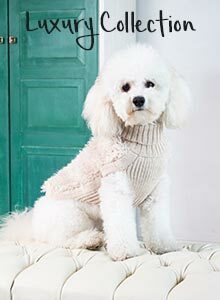 The world of high fashion recognizes alpaca for its natural attributes: its fineness, durability,hypoallergenic and lightweight qualities. 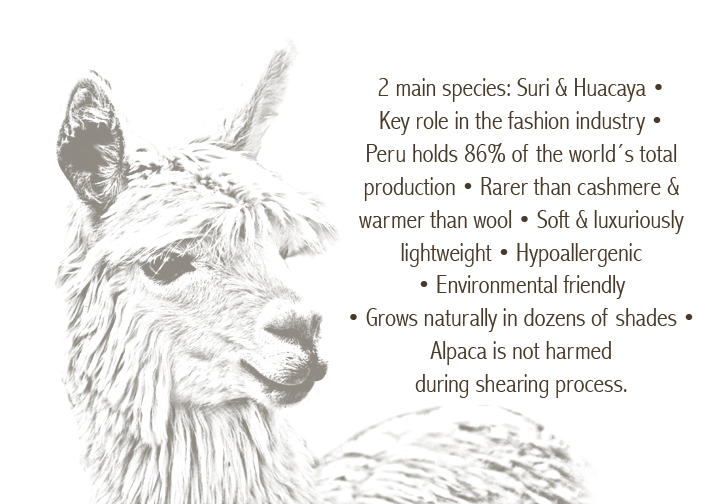 Alpaca comes in 24 shades of naturally occurring fiber as alpacas range from white through all shades of grey and brown to black. 1. Gently wash in warm water with a mild soap or shampoo and thoroughly rinse in water of the same temperature. Special care must be taken as wet alpaca fabric can weaken and stretch out of shape. Never wring or twist. Gently press excess water from garment. If stains persist: Dry cleaning may be the only solution. We do not recommend machine washing. In the event you decide to use washing machine please secure the garment in a tied pillowcase and set on gentle cycle; cool water. Do not use drying machine. Coffee: Wash in warm water and soft detergent; then treat the residual stain with solvent. Ink: Absorb with baby powder, soak area with lemon juice and water and then with alcohol. Red Wine: Wash in cold water, then soak with lemon juice and water. Liqueur: Wash with soft detergent in warm water. Perfume: Wash with glycerin and alcohol. Sweat: Wash in hot water, mixed with a small quantity of ammonia, white vinegar and then rinse with oxygenated water. Tea: Wash in warm water and delicate detergent. Leave drying between two towels.